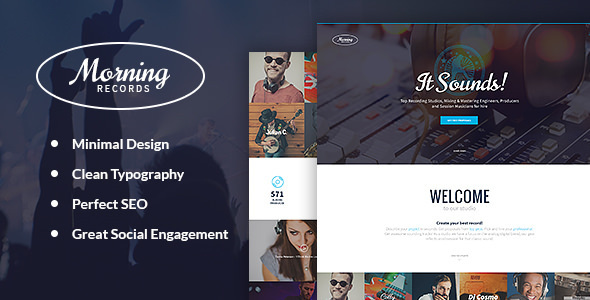 Morning Records – clean, vibrant & sharp WordPress theme. It has minimal fresh design made for a modern Sound Recording Studio. The theme can be also interesting for Music Label company, Music Producer agency, Musician firm, Band, musical business corporate organization or any website in Music Industry bureau. Also with lots of customizable features, it can be useful to promote the sound design services.